visually pleasing additions you can make to your outdoor landscape. Unfortunately a lot of people think they are difficult to maintain or install. There is initial cost of supplies, but the only question you really have to ask yourself is, do I want to dig a hole or not and how big? is quite impressive even at the small 100 gallon size. My 100 gallon night and day pictures. is still sort of pricey as they are more or less an outdoor jacuzzi or pool. I live in an area that can get quite cold and ice expansion can do some expensive damage if it isn't made for extreme low temperatures. Be sure to consider this if you pursue this option. Most commonly used liners are HDPE -high density polyethylene- prefabricated shaped liners or EPDM flexible liners, both have their ups and downs. In the case of the EPDM liners, know that this is pretty much the same as rubber roofing liner however...with roofing liner, unless you know the brand and type, it may have been treated with a fungicide of some type and you will pay for it further down the road with the death of things you put in it, be aware, free scrap from someone may cost you in this area. to make it deeper than a prefab. But if you are running against roots from nearby trees or other strong rooted plants, you may be signing a timed contract for repair so keep this in mind when placing a flexible liner. until you get into extreme temperatures so you just need to take a few precautions. 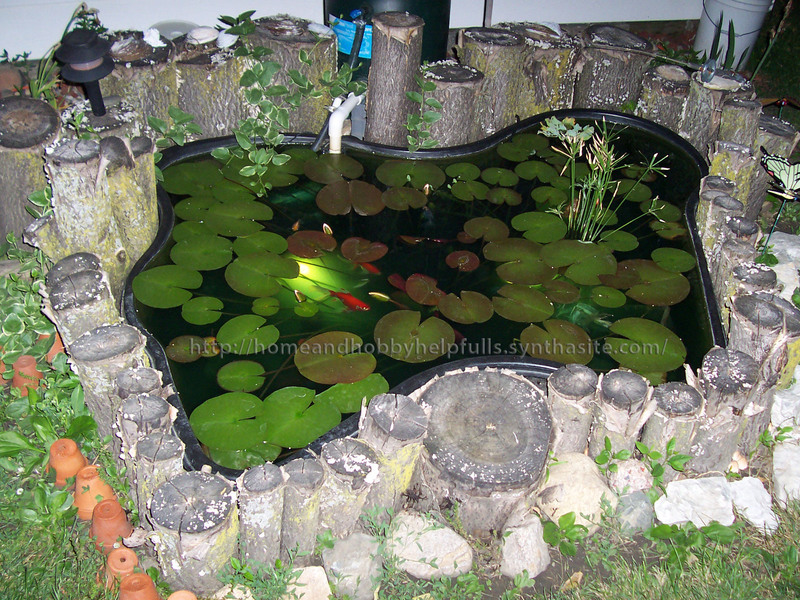 For whichever type of pond you choose, keep these tips in mind. water evaporating and top it off with the hose. If you have to add more than a few gallons, be sure to add some de-chlorinator. 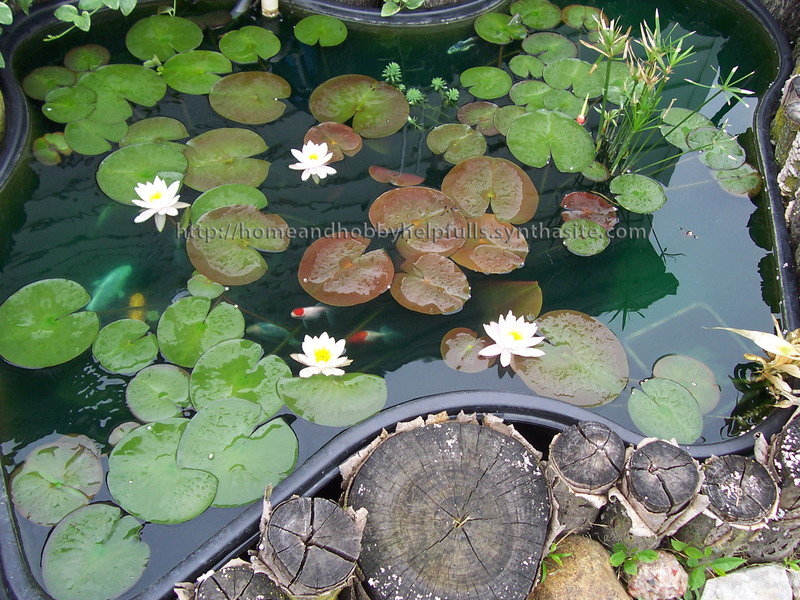 Ideal depth of a water garden should really be 3ft or more. This is where flexible liners benefit more. This gives fish a deeper cooler place to go if the water gets too warm. There is less dissolved oxygen in warmer water than there is in cold water. in a high wattage de-icer. I use the 1250watt. Reasons for the de-icer go beyond just keeping your fish from freezing into a solid block of ice. It also keeps at least a small ice free hole in extreme cold. The reason this needs to happen is because of the decomposition of organics in the water create toxic gas that can build to levels high enough to suffocate your fish. If you don't keep fish, then it will help keep and lilys and other winter tolerable plants from freezing out.